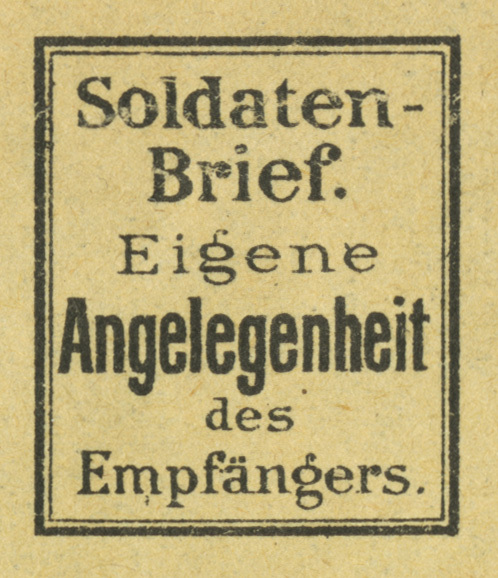 In the late 19th century, German soldiers and sailors could send letters of up to 60 g weight free of postage, if the envelope was marked "Soldatenbrief - Eigene Angelegenheit des Empfängers" (Soldier letter - personal for recipient). Several printers printed stamps that could be used by the soldiers and sailors in lieu of hand-writing the required language. 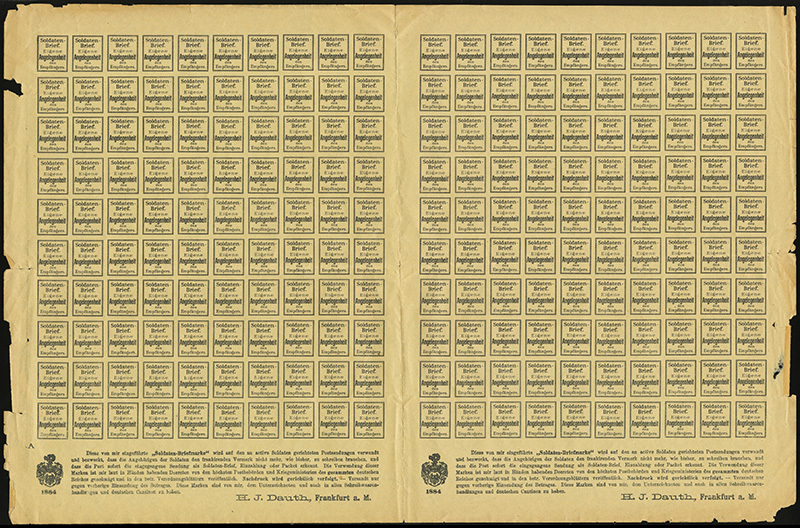 These stamps were sold in stationery stores and service canteens. 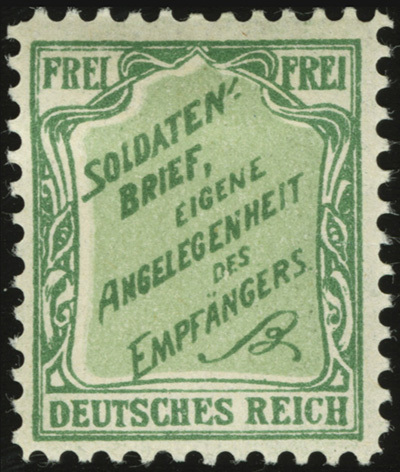 This stamp was printed by H.J. Dauth of Frankfurt am Main in 1884. Great information. I was wondering if there were any used covers with this stamp on it??? There are. 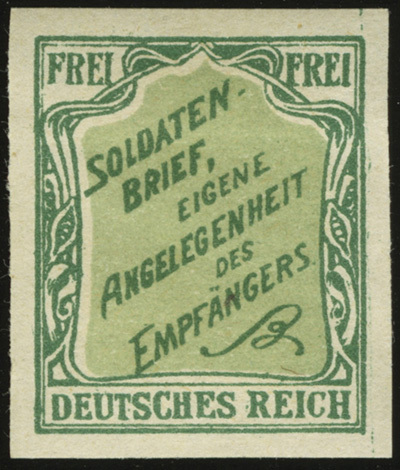 On most days there are a handful for sale on the German eBay. They typically go for €10-€40. Picked up another variety of these recently. 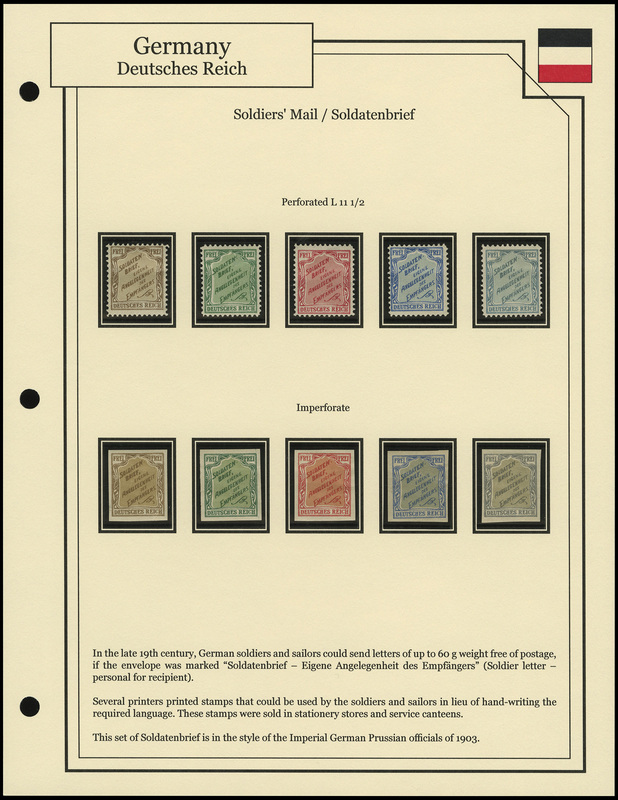 These are in the style of the Prussian Officials of 1903.